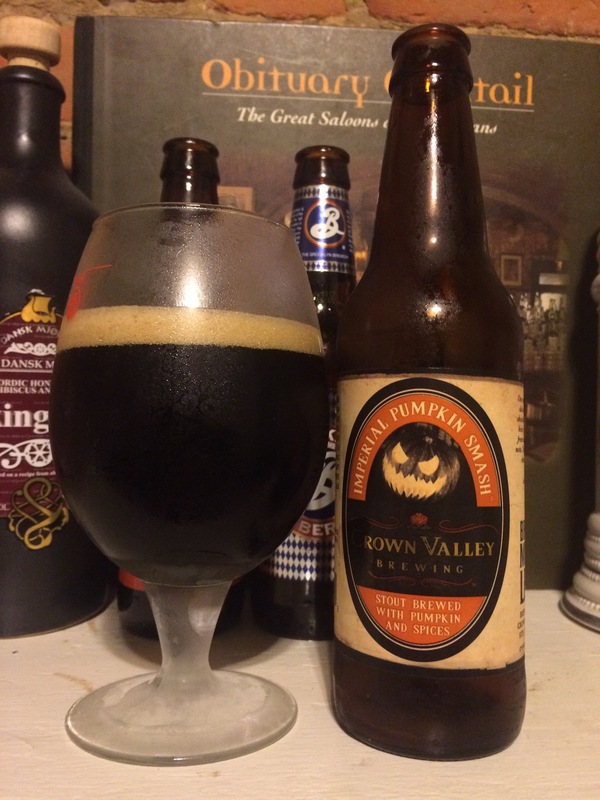 Crown Valley is typically associated with Ciders where I live, so I was pleasantly surprised to find that not only do they also brew several beers (Amber Ale, and Farmhouse Lager) but in fact they have put together an imperial pumpkin stout. I’ll say first and foremost that the imperial stout is my favorite iteration of the pumpkin beer family. They pack a lot of complexity, alcohol, and warmth for a season that invites winter to follow on its heels. Eyes and Nose: Pours near-pitch black with a thick, tan head that dissipates slowly. Rich chocolate, cinnamon bread, and spice on the nose. Mouth: Buttery and creamy mouthfeel. Flavor is distinctly yeasty with rich chocolate, coffee, and a bitter dark maltiness. A strong hoppiness brings out meaty and smokey notes, with a distinct baked-good aftertaste. The high abv wraps everything up nicely with a warming sensation in the tummy. Rating: Crown Valley did a great job with this beer, adding a lot of complexity without making the flavor too muddled or confusing. This is the perfect beer for a chilly, autumn day (or if you live in the south, a sweltering when-will-summer-end?! evening). I’ve stockpiled a few in the fridge, and I hope I can find their future seasonal offerings.